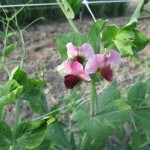 This rare, wild pea, has been grown in Italy for centuries, and consumed as a staple by local populations. 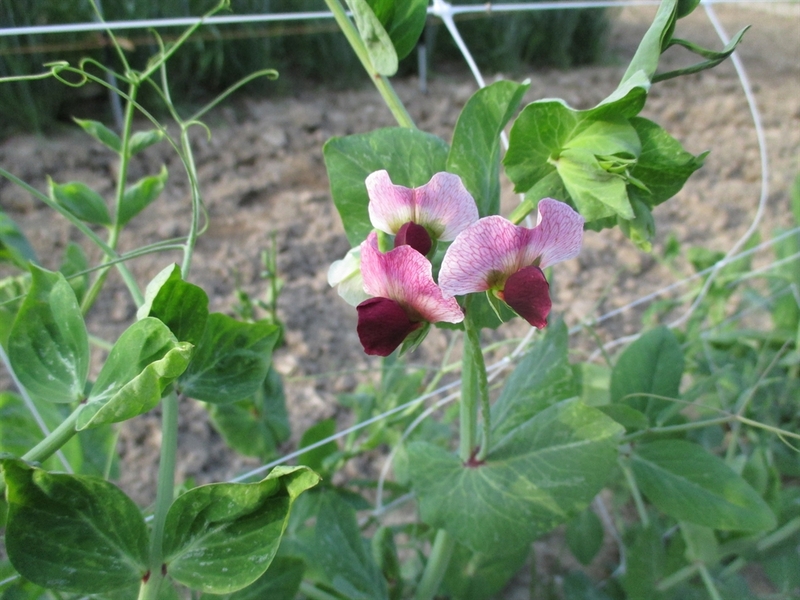 It produces small, speckled peas, which are dark brown, purple, reddish or dark green in color. The flavor is rich and more like a fava bean than a soup pea. 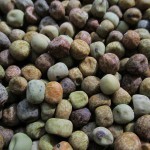 Wild, dry peas are a protein-rich food and a delicious and nourishing addition to soups. In Italy they are also used to make farecchiata (a kind of polenta). I found these very easy to grow. They prefer a cool growing season. I direct seeded in rows on the 10th of April. They reach a height of about 4′ and require a trellis. I harvested in mid July by cutting the whole plant and hanging until pods are completely dry. 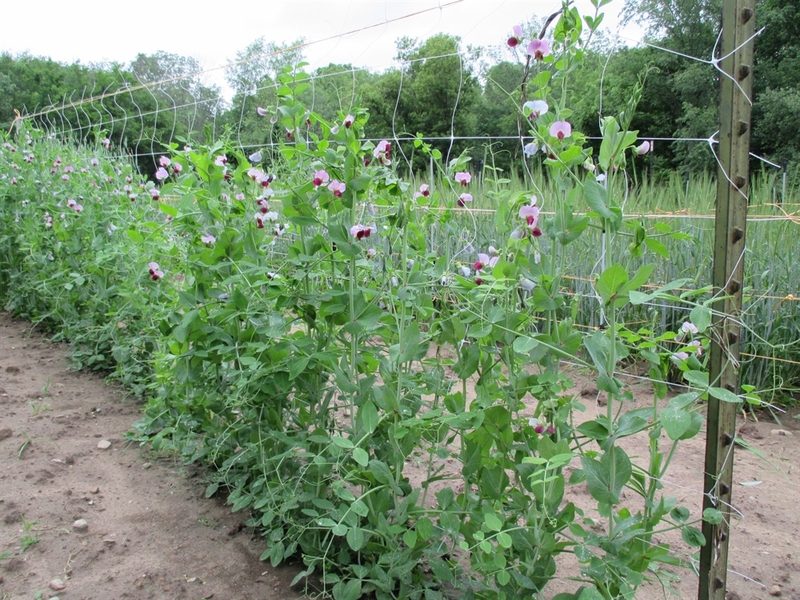 Easily threshed by placing plants into a pillow case and then gently stepping on the pillow case to release the peas from the pods. Winnowing is done in front of a fan. Excellent yields. 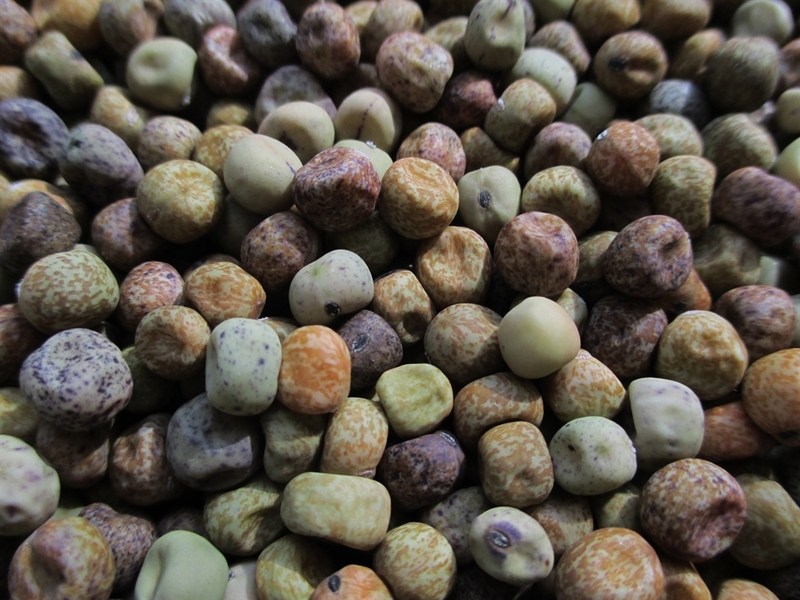 Seed Saving: Isolate from other Pisum sativum varieties by a minimum of 50′ for home use, or 150′ for pure seed. I personally have never tried it up here.